High strength formula containing caffeine and Teacrine. What is PhD Pre Wkt Burn? Pre Wkt Burn is one of our 3 pre-workouts that have been tailor made for specific performance goals. Pre Wkt Burn is specifically made to deliver serious focus & energy before intense spells of activity or fasted cardio. Who is Pre Wkt Burn for? Pre Wkt Burn is specifically designed for those who are looking to achieve a leaner physique. Those who are on calorie controlled plans often suffer with energy and focus, well, Pre Wkt Burn has the remedy for that! An added bonus is that Pre Wkt Burn is also suitable for vegetarians, gluten free, halal certified & GMO free! The Benefits of Pre Wkt Burn? Pre Wkt Burn really does deliver channelled focus & super-charged energy levels. It should be the ‘go to’ pre-workout if your objective is to drop body fat. The combination of caffeine and TeaCrine® delivers serious energy without the crash. Pre Wkt Burn is perfect before any intense spell of exercise, fasted cardio or metabolic circuit as it also contains CLA and L-Carnitine, both of which aid fat loss! If this wasn’t enough, Pre Wkt Burn packs 6g of L-Glutamine & BCAA’s which protects that hard-earned muscle whilst you can chip away at the unwanted body fat. TeaCrine® is our secret ingredient in Pre Wkt Burn. 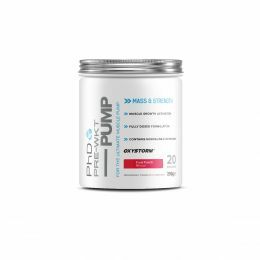 We cherry picked this ingredient because most stimulant based pre-workouts on the market are packed to the rafters with caffeine which is all fun & games at first, but then follows the dreaded crash! TeaCrine® improves mental clarity, focus & mood however does not raise heart rate and blood pressure. TeaCrine® is also a non-stimulant, which enables a smooth after effect when taking Pre Wkt Burn with no crash. Pre Wkt Burn should be consumed roughly 15-20 minutes prior to intense workout, HIIT training or cardio. 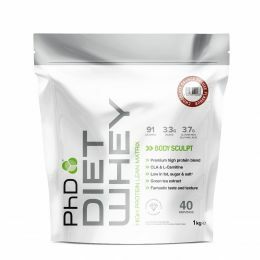 Simply add 1 fully dosed scoop to a shaker & mix with 200ml water. Enjoy Pre Wkt Burn in either Fruit Punch or refreshing Grapefruit flavour.